As fun as it is to be thin (finally! ), it's potentially dangerous if you've been experiencing unintentional weight loss. Unexplained weight loss? Have your physician check into it to rule out certain serious conditions. Unintentional weight loss occurs in 15 percent to 20 percent of older adults, says the American Association of Family Practitioners (AAFP). It’s also associated with increased morbidity and mortality. That’s one out of every five seniors experiencing unintentional weight loss that can directly affect their longevity. It’s especially sobering to note that, while obesity is a more widespread problem, it does not directly result in death. Instead, obesity contributes to or causes diseases that can be fatal, like diabetes and cardiovascular disease. The AAFP defines unintentional weight loss as more than a 5 percent reduction in body weight within six to 12 months. That’s not much. If you normally weigh 175 pounds, that’s only 7.5 pounds. Weigh 120 pounds? Six pounds. Unintentional weight loss is unplanned and unexpected. Weight loss you’re trying to achieve by reducing your caloric intake and increasing exercise is good, healthy weight loss, although, even then, experts advise a slow weight loss of one to two pounds per week. Most of us recognize cancer as a cause of unintentional weight loss. The AAFP says 19 percent to 36 percent of unintentional weight loss is due to a malignancy—it’s the No. 1 reason for unintentional weight loss. Cancer causes weight loss because it disrupts the way your body normally functions and uses up the body’s reserves to fuel the cancer cells. The American Cancer Society adds that unintentional weight loss is also often the first noticeable sign of cancer, listing an unintentional weight loss of 10 pounds or more as a symptom or sign of cancer. “This happens most often with cancers of the pancreas, stomach, esophagus (swallowing tube), or lung,” the organization states. 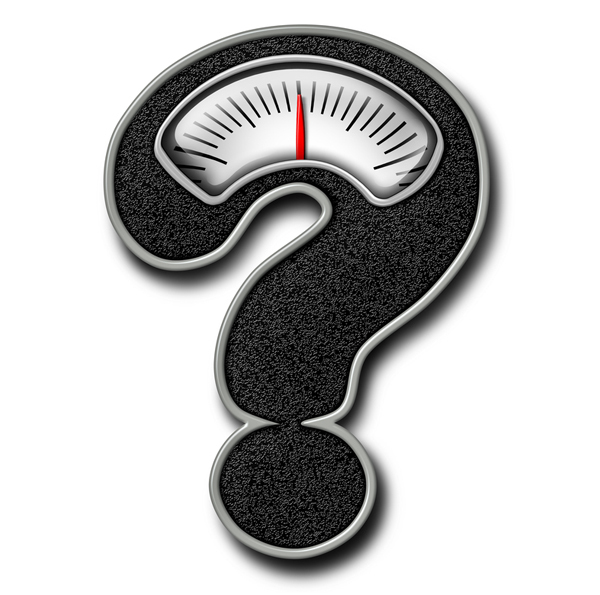 What Conditions Might Prompt Unexplained Weight Loss? According to the AAFP, 16 to 28 percent of patients have no identifiable cause for unintentional weight loss, but that doesn’t mean you can just ignore it. The consequences of unintentional weight loss that results in inadequate nutrition—including calories, vitamins, minerals, and protein—also include osteoporosis (bone thinning), higher risk of infection, anemia, cardiovascular disease, slowed metabolism, fatigue, brittle hair and nails, diarrhea, gum diseases, pre-term births, low birth weights, and more. Think of it this way: Unintentional weight loss might seem fun at first, especially if it’s accompanied by no other signs or symptoms, like fatigue or pain. You may be excited to be so thin, but your body is being robbed of the nutrients it needs to function/ So the sooner you get to the bottom of the cause, the better. The bottom line: If you’re not trying to lose that weight, it’s unintentional, and it’s dangerous. Remember, weight fluctuations of four or five pounds a day are normal. We all experience them. They’re not really weight loss, but more an adjustment in our hydration levels, possibly due to salt intake. Even eating a big dinner can cause a temporary weight fluctuation, but overall, your average weight remains the same. If you notice your clothing is getting baggy—and especially with other symptoms, as those mentioned here—it’s time to see a doctor. Your weight isn’t fluctuating up and down. It’s hitting a steady decline, and yes, it’s time to make that appointment with your doctor. If you’re not interested in eating, possibly because you can’t smell your food anymore or maybe even taste it, you lose your appetite and experience unintentional weight loss. And, while these causes may seem mild, they could be a symptom of a more serious problem. Even if they aren’t, the lack of nutrition will take a toll on your body, as your organs fight for nutrition. Medications can cause a lack of appetite and, consequently, unintentional weight loss. Drugs often interfere with taste, and they can make a person nauseous, so that the person no longer wishes to eat. Common drugs that can cause this side effect include aspirin, digoxin, statins, levodopa, metformin, antibiotics, nicotine, and iron. Stress, poverty, depression, and the inability to afford or get food are all causes of unintentional weight loss. Elderly people often experience unintentional weight loss because they either can’t get food or are too lonely to work up an appetite to eat it or lack the energy to make it. Your physician will put on his or her detective cap to find the cause of unintentional weight loss. Often, it isn’t easy. You will need to be patient and provide as much information and background as possible. The more you can add to the case, the more focused the investigation. Usually, it begins with a detailed history of your health, mental wellbeing, and lifestyle, especially since the start of the weight loss. You can expect questions about your eating habits, activities, and workplace. Questions about cancer-screening tests results, like mammography and colonoscopies, will be included, as will family history of cancer. A medications list will be evaluated for possible causes. Include all over-the-counter pills and supplements in your list. Any other signs or symptoms, like bloody stools, headaches, nausea, or fatigue, should be given to the physician as early as possible in the office visit. The physical examination will be thorough and complete, including prostate, pelvic, breast, dental, and skin. The doctor will listen to your lungs, heart, and take your temperature and blood pressure. Expect a blood draw for testing, including a complete blood count, lipid panel, and a metabolic panel. Cancer antigen testing may be included. You may be asked to give a urine sample as well. Once all of this is evaluated, the physician will determine if you need any further testing, such as imaging (chest x-ray, abdominal scan). From there, a diagnosis (if there is one) and recommendations will be made for combatting the unintentional weight loss and/or treating any underlying diseases. 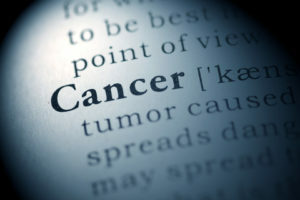 about cancer, add, alcohol, als, alzheimer, anemia, antibiotics, appetite, arthritis, average weight, blood pressure, bone, bone thinning, bowel disease, calories, cancer, cancer causes, cancer cells, cancer screening, cancers, cardiovascular, cardiovascular disease, chronic obstructive pulmonary disease, copd, dementia, depression, diabetes, diarrhea, diet, eating habits, exercise, food, gastrointestinal, gastrointestinal disease, headaches, health, healthy weight, history of cancer, how to avoid prostate cancer, hydration, infection, inflammatory bowel, inflammatory bowel disease, iron, iron deficient but not anemic, lipid profile, long term care, low carb diet, metabolism, metformin, mood, mortality, multiple sclerosis, muscle, muscle mass, nicotine, nutrients, nutrition, obesity, obstructive pulmonary disease, osteoporosis, osteoporosis bone, pain, Pancreas, Prostate, prostate cancer, protein, pulmonary disease, rheumatoid, rheumatoid arthritis, skin, statins, stress, supplements, thyroid, tuberculosis, ulcers, unexplained weight loss, unintentional weight loss, vitamins, vitamins minerals, weight fluctuation, weight loss drugs, your lungs.